Firstly, last night I slobbed out in my pyjamas from the minute I arrived home from work at 6pm. Sometimes, after a day of teaching year 10, you just want to feel cozy and slob out on the sofa. Good job I got a cheeky three mile run in before work this morning. My watch was all over the place again though. At one point it told me I was running 4minute miles. Um-OK. NOT very likely! I took the run pretty easy and just picked it up for 3/4 mile in the middle and added a tough hill at the end before my cool down. Working on feel I would say I was probably running at 8:30mm pace for the quicker section of the run. When I returned I was debating whether or not I was too hot for porridge, but I’d left it out on the worktop from the night before and I couldn’t resist making another batch for breakfast. This time topped with strawberries. …lots of tin foil! Coursework deadlines for my year 11s are next Friday, before we break up for Easter, so at the moment all my breaks are spent remarking their work trying to help them achieve the best marks possible. It will be a relief once their coursework is out of the way. 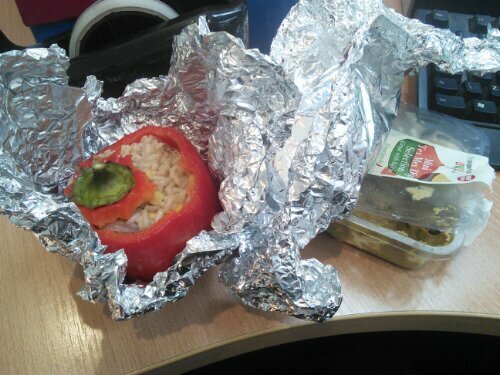 For lunch I had a red pepper version of my meal from yesterday. Because the mixture had been in the pepper since yesterday afternoon and then left in the fridge it was a little soggy on the bottom – probably best just to make one pepper up at a time in future. Anna hit the nail on the head yesterday when she spotted that my peppers didn’t contain any protein. I must admit I did feel a little hungry yesterday afternoon and could have done with some cheese added to the mixture. Dinner was another slow cooker meal waiting for me when I arrived home. I’m really getting the hang of this slow cooker malarkey now! Similar to the other night – half a jar of tomato pasta sauce, half a pack of Philadelphia and four rashers of bacon (serving both Dan and I) and then I added a few spoonfuls of sweetcorn to the mix along with half a flatbread. 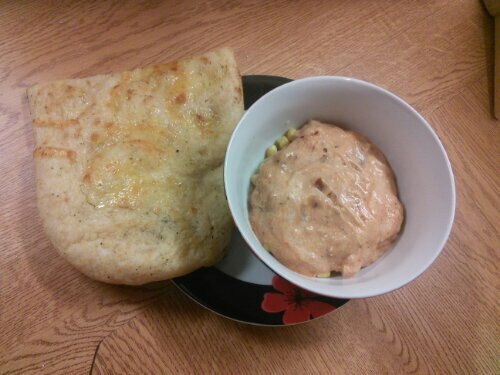 I am aware that this picture makes my dinner look rather like cat vomit but you have to trust me when I say it was tasty! 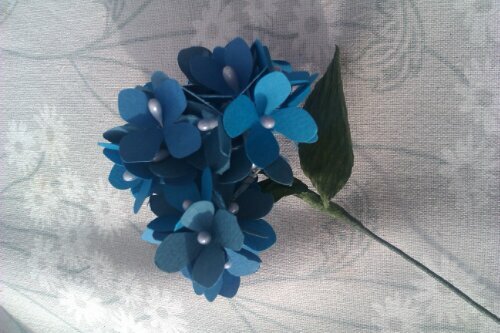 They are actually flowers that she has made herself out of card. They are really, really good! I’m trying to persuade her to go to a few craft fairs and sell her work but she’s been having none of it! 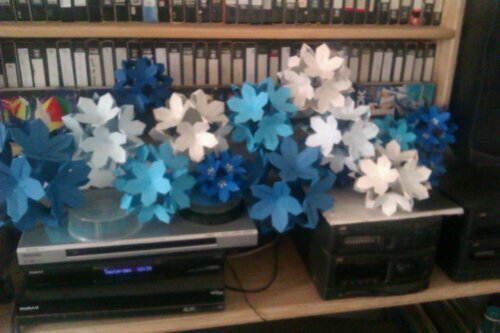 She’s also been working on some flower style pompom balls to hang in her reception. They are now slowly taking over her living room…! To be honest, I’ve not really thought much about decorations for our wedding yet. My school breaks up five weeks before my wedding so I plan on honing in on my creative skills once the stress of work is out of the way for the Summer. Zoe has got me thinking what sort of things I could come up with though. Any suggestions? 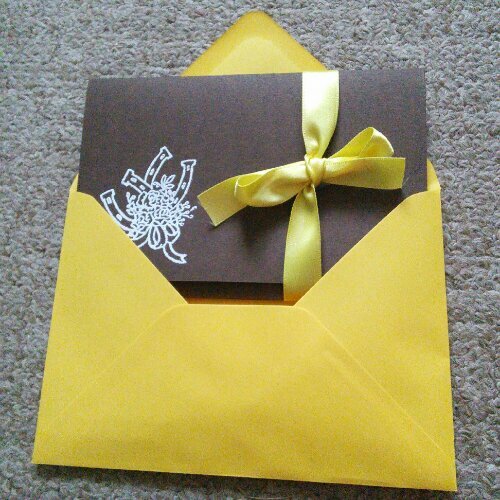 Once the ribbon has been untied, you can lift the top flap of the invitation up to reveal four separate cards underneath. I’ve always been one to work through my lunchbreaks. Does anyone else do the same? Any suggestions for wedding decorations? Ever tried embossing? 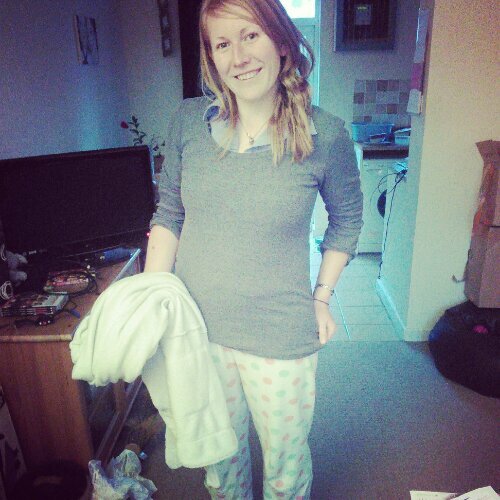 I also got straight in my pyjamas when I got home from work last night, I’ve been so tired this week! Your wedding date, is the same date as me and my husband first started ‘going out’ 12 years ago! I think it’s the time of year it is. The weather is all over the place and March/April seems to be the busiest time of year for most jobs one way or another. Glad I wasn’t the only one all cozy at 6pm! 9th August is clearly a romantic date! I LOVE your invites! And although it may have taken a bit longer than expected, they look amazing and you are happy with them and that is all that matters. Your food pictures always make me want to jump on a plane and visit and have you cook for me. I’ll be sure to let you know if i end up in England for the honeymoon! 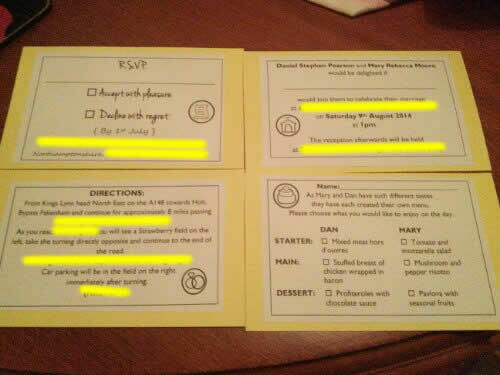 Wedding decoration– I made my own name cards to tell people where to sit and they turned out great. I also made all the centerpiece with recycled wine bottles- I am sure you have this figured out though! One thing that I am excited about is I made art deco door hangers (You may have seen it on instagram) for our rooms when we are getting ready the day of in the hotel. 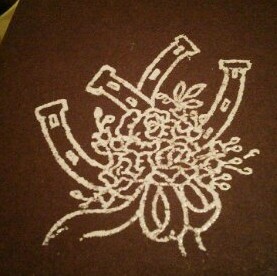 And then I made a ‘just maried’ one to hang after the wedding. I like the little personal touches! Hope you’ve had a FABULOUS day!!! I’m so excited for you right now! Yes, I’m trying to get everything done as early as possible so that I’m calm the week before the wedding and enjoy it all! Haha! Most of my food has been rush job comfort food! I’ve started to pick up a few new recipes lately though…I’m working on it. But yes, come to England for your honeymoon and you can be my testing guinea pig! I loved your deco door hangers when I spotted them on instagram. I’m going to have to try and recreate. 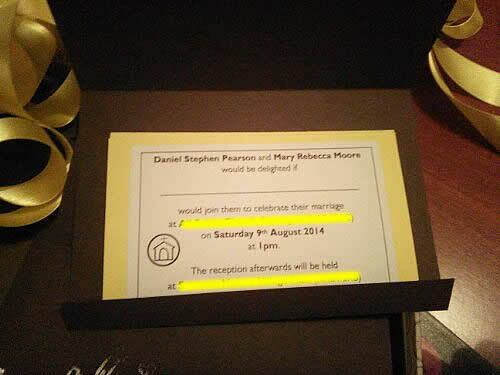 I agree, it’s all about the little personal touches and you have done so many for your wedding I’m sure it’s going to be such a BEAUTIFUL, lovely day…Mrs Speedy! Wow you’re so creative. I just lack all creative ability. 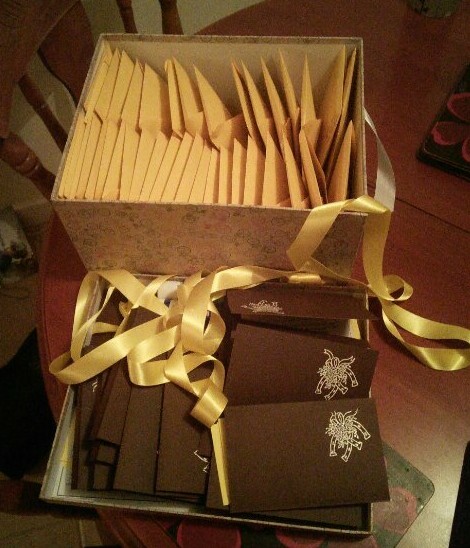 The invitations look so lovely. Just make sure you save one to remember it. The flowers as well – wow! She should definitely go to wedding fares. They look amazing. I blog on my lunch breaks. 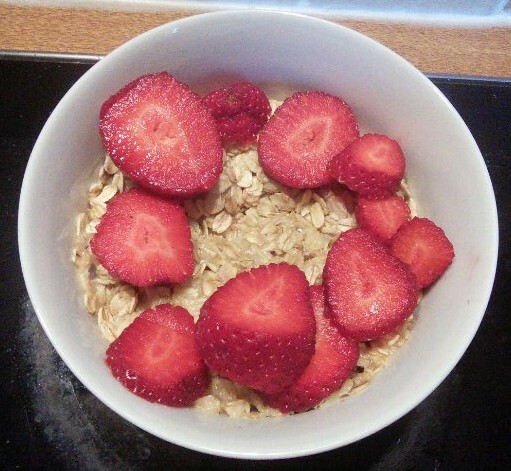 It’s one of my favourite parts of the day, munching on lunch and reading blogs. But if I’m busy I will work while I eat – grudgingly! It’s funny because I remember doing coursework back in the day and how stressful it was with deadlines etc. I never thought about the poor teachers who had to mark and re-mark the work. I’d always get impatient when I didn’t get my results back as well. You’re educating me on what it’s like from the other side! I am still working on persuading Zoë to set up a side business with her flowers but she’s pretty insistent they’re not good enough. I’ll let her know you thought they were too! I try and catch up on a few of my favourite blogs at breaktime but usually am working through lunch. Your comment made me laugh – my students are at the impatient stage now and will make one teeny tiny improvement before sending it back to be remarked rather than overhaul it and make my life easier! I’m working on them! I would love to have my wedding over again – I would definitely be more creative! I always get changed into pjs when I come in the house, got to be comfortable! I’m glad we’ve been to several weddings over the past few years so we already had an idea of what we wanted and didn’t want. Also very glad that Pinterest is around now! That definitely helps to spark my creativity! 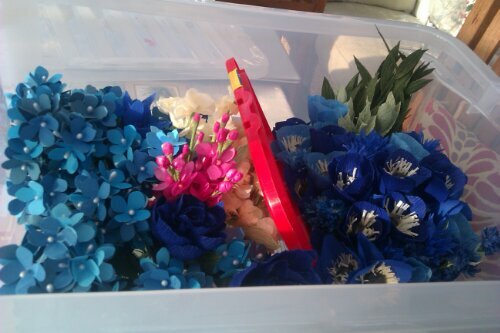 I loved getting all crafty for my wedding, so much fun and it adds a personal touch. Love those flowers! Yes, I really wanted to add a personal touch to the wedding. I want it to be very unique and ‘us’! I think working through a lunch break is what every teacher does!